Status: Deceased; Active 1967-1967. Born: 1935-10-02. Died: 1967-12-08. Birth Place: Illinois. 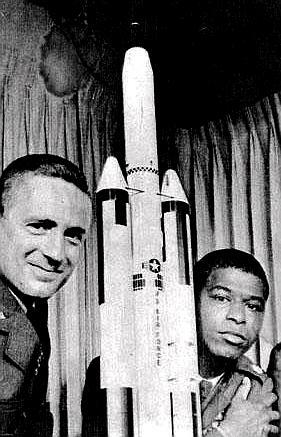 America's first astronaut of African-American heritage, he was born in Chicago Illinois. He received a BS in chemistry from Bradley University in 1956, and a doctorate in nuclear chemistry from Ohio State University in 1965. He was a Major in the USAF when selected for MOL Group 3 in 1967. On December 8, 1967, while practicing zoom landings in an F-104B with Major Harvey Royer, the F-104 came they were flying came in too low and hit the runway. Royer ejected and survived, but Lawrence was killed. He left behind a wife and one son. Died in Edwards AFB, California. Family: Astronaut. Country: USA. Agency: USAF. Bibliography: 5673. 1935 October 2 - . Birth of Robert Henry Jr Lawrence - . Nation: USA. Related Persons: Lawrence, Robert. 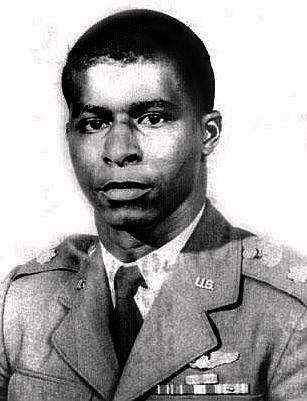 African-American pilot astronaut, 1967-1967..
1967 June 30 - . USAF MOL Astronaut Training Group 3 selected. - . Nation: USA. Related Persons: Abrahamson, Herres, Lawrence, Robert. The group was selected to provide crews for flights of the Manned Orbiting Laboratory, a classified military manned space station.. 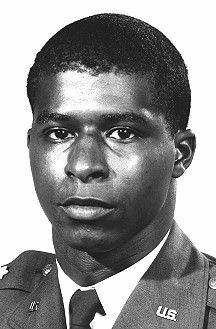 Qualifications: Qualified military pilot; graduate of Aerospace Research Pilot School; serving military officer; US citizen by birth..
Astronaut Robert Henry Lawrence Jr dies in crash of F-104B while practicing zoom landings. - . Nation: USA. Related Persons: Lawrence, Robert. First African-American pilot astronaut, for USAF MOL program..